As of recent, the world’s dominant military powers realize that the next battleground could be in Low Earth orbit (LEO). China, Russia, and the United States are all preparing for the possibility that a space war could be on the horizon, which has pushed the Pentagon into examining quantum computing as a crucial weapon for improved security for data storage and transmission on space-based military hardware. Earlier this month, top Pentagon official Michael Griffin had a meeting with Air Force researchers at Wright Patterson Air Force Base in Ohio to address the future of quantum computing in outer space. Griffin, the undersecretary of defense for research and engineering, has indicated quantum computers and related applications rank fairly high on the Pentagon’s must-do R&D investments, said SpaceNews. Quantum computing is one of many technologies where the Pentagon is seriously behind the curve while China continues to progress. The technology is already present in silicon valley for many civilian applications, as military officials now want to transfer the technology into its spacecraft. SpaceNews specifies the Air Force is mainly concentrated on what is known as quantum information science. “Artificial intelligence algorithms, highly secure encryption for communications satellites and accurate navigation that does not require GPS signals are some of the most coveted capabilities that would be aided by quantum computing,” explained SpaceNews. Earlier this month, Hayduk spoke with the Defense Innovation Board (DIB), a blend of tech executives and researchers who advise the secretary of defense. The DIB gathered at the Pentagon’s Silicon Valley location, the Defense Innovation Unit Experimental, and spoke about the need of transitioning quantum information science technologies into the military’s hands. The Pentagon finds the technology quite appealing when it comes to protecting hardware from GPS denied environments. “It’s a key area we’re very much interested in,” said Hayduk. He noted that some of these technologies could take years to materialize. “In timing and sensing, we see prototype capabilities in a five-year timeframe.” Communications systems and networks for spacecraft would take even longer. Much of these technologies could be deployed by the mid-2020s. Meanwhile, China is “very serious,” he warned, adding that the Pentagon is actively monitoring other nations’ investment dollars in the quantum computing field. 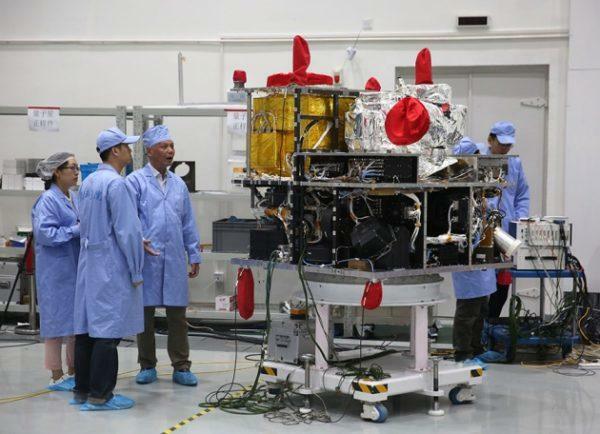 China could be spending $10 billion to $15 billion over the next five years on R&D. 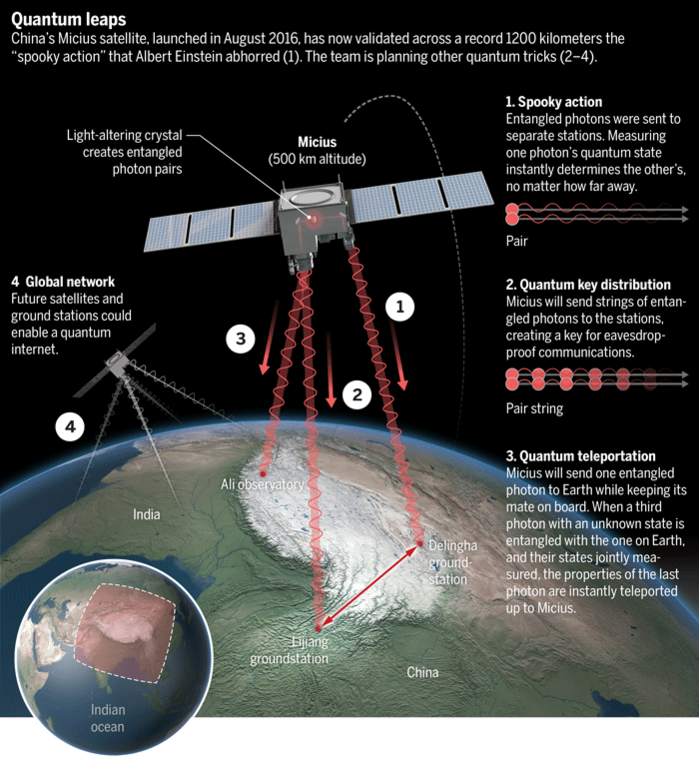 SpaceNews even said China has already developed quantum satellites that cannot be hacked. The next war between major powers is likely to be fought in LEO, or, at a minimum, have a space-based component. While Washington could, in fact, be way behind the curve in intergrating this technology to its space-based hardware, Congress has recently proposed an $800 million funding line in the Pentagon’s budget over the next five years for quantum projects. The current state of affairs of America’s military is riddled with gaps, inconsistencies, and vulnerabilities, which is explained by the decades of unwinnable wars in the Middle East and 800 military bases around the world to thwart the Empire from collapse. 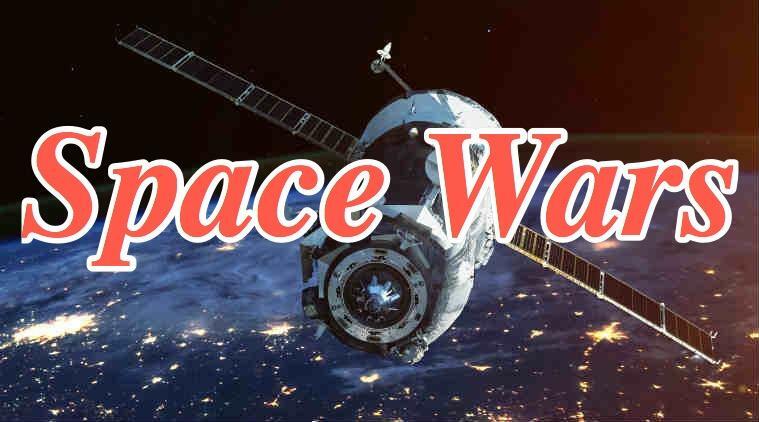 If the endless wars do not bankrupt this country, it still seems we [US] could be severely lagging behind in technological advances before the next space war breaks out. American exceptionalism is dying.